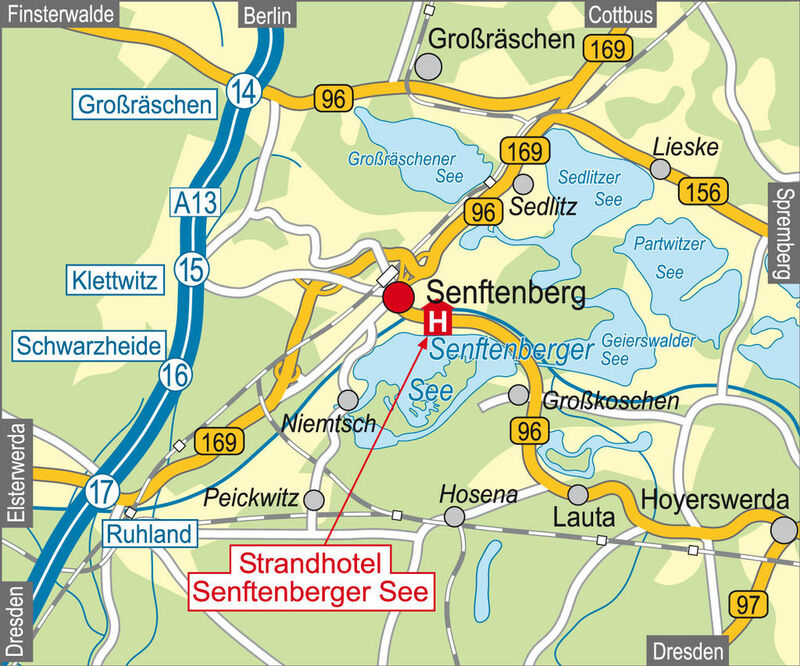 • DB to Senftenberg train station. Take the 625 bus from the train station forecourt to Kleinkoschener Straße. 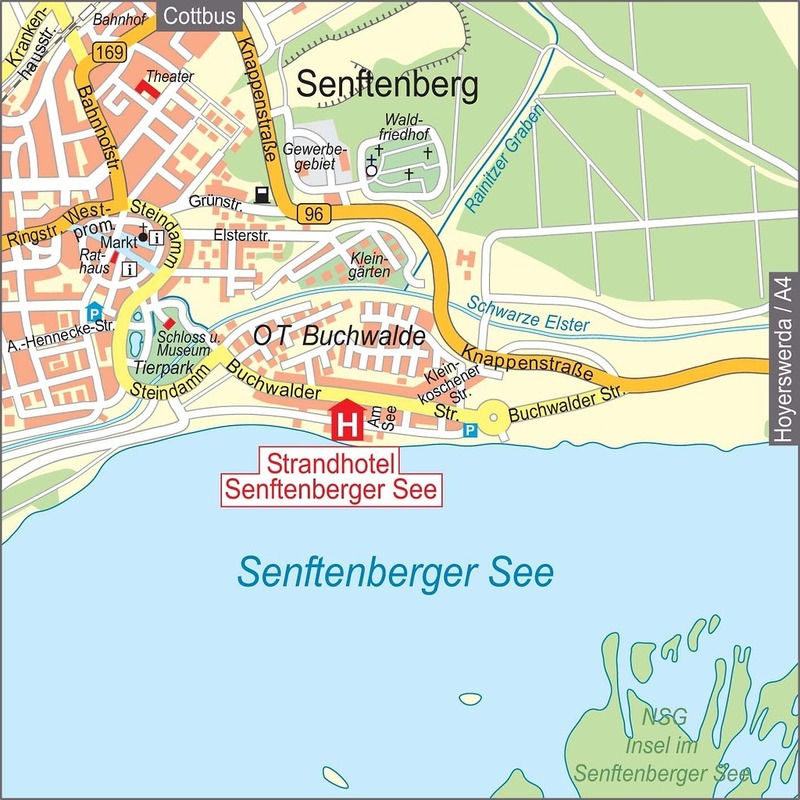 If you are using a sat-nav, please enter “Buchwalder Straße” then follow the blue sign guidance system to the Strandhotel.